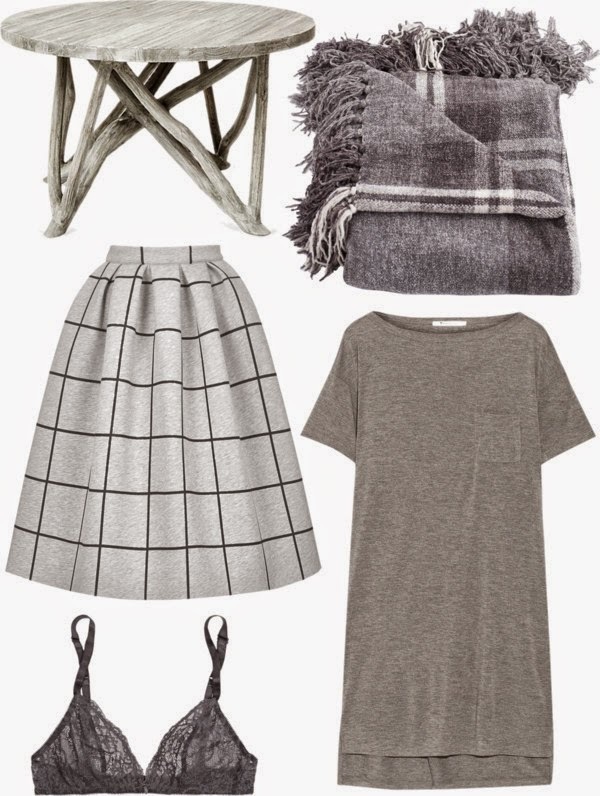 A few of my favorite gray items that match but are much lovelier (how amazing is this skirt?) than the weather we have been having lately. It has been gloomy, rainy, snowy, and cold here for over a week. 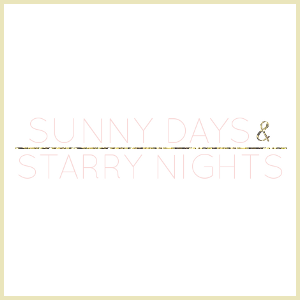 I am beginning to miss the sun and this weather is making having to leave my comfy home (when I could be snuggled up in this blanket) and being back at work even less enjoyable. I probably shouldn't be complaining. At least there is currently no snow on the ground. Back to the items I have rounded up for today. I am in love with this coffee table. The soft gray color helps the branches base fit into my feminine aesthetic. 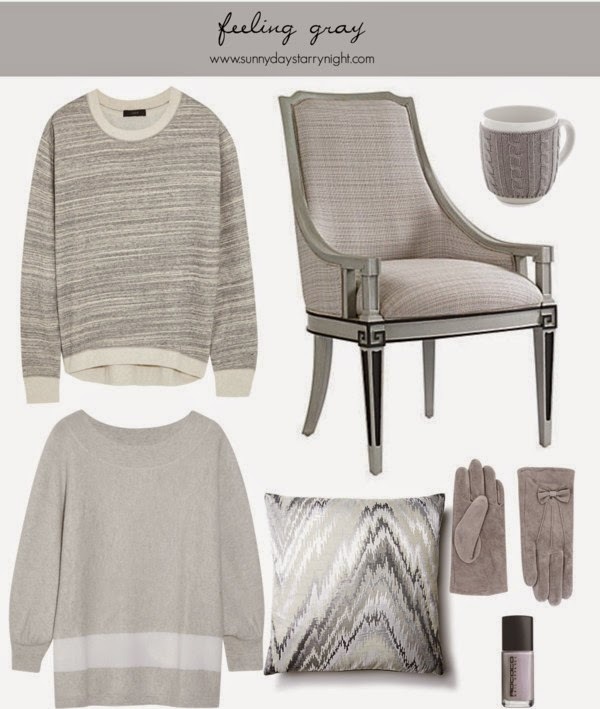 Love the grey inspo! Today is the first sunny day we've had here in a while. January and February are the roughest months of the year for me thanks to the grey skies and cold weather. Love that grey sweatshirt!! It looks so nice and comfy for weekend lounging.